Despite my very best efforts, inevitably there are occasional errors or omissions, for which I can only apologise wholeheartedly. I am sorry for any frustration or wasted knitting time that any errata might have caused you. If you think you have found a mistake which isn’t listed here, or something which would benefit from clarification, please do let me know. V1: In Clue 2, the number of stripe repeats recommended was too few. It should read: Ideally, size M will have 7 stripe repeats and size L will have 5 stripe repeats (larger needles means fewer repeats). Corrected in V2 & V2.1 of the pattern. V1, 2 & 2.1: Clue 3: Slip the first st at the start of every row. V1: At the very end of the charted instructions on page 4, Rnd 28-35 should say: As Rnd 27. (i.e. it should be rib between the cabled panels, as setup in the previous Rnd!) The written instructions pages were/are correct. Corrected in V2 of the pattern. Version on “Vivacious” template has no known errata. 1) The original version has two tiny errors. 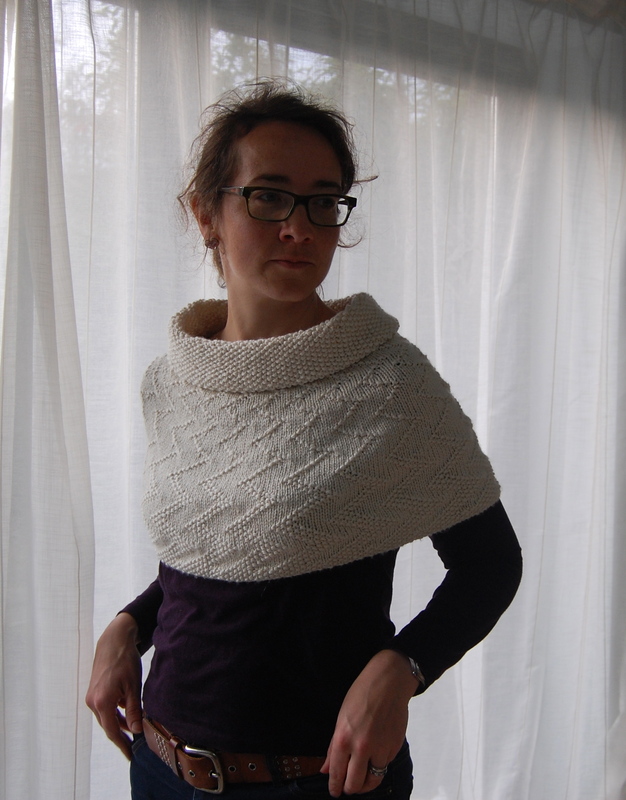 This version was available on Ravelry and in print from its launch until 27April 2012. If you bought the pattern on Ravelry you should have received update information and the corrected pdf v1.1. The corrected version was contained in the All at Sea ebook from its launch. A) Rnd 84 of the written instructions is missing a second bracket at the start. It should start Rnd 84: ((…..
B) I would like to clarify the 3rd section notes, which refer to Rnd 31. This is Rnd 31 in the Breakers Transition chart, which is Rnd 85 of the written instructions. Medium Waves says Rnds 20-54: Work….. – this is correct. I don’t think I’m being over-confident when I say that I think this is a non-fatal error, so I will give it a few weeks before I issue an update in case anything else comes to light in this time. If you think I have this wrong, please do tell me. Rnds 115-135: Work rnds 1-7 of Medium Waves chart (given previously) three times OR work rnds 20-26 of the written instructions for Medium Waves three times. V1: “Tension” needle size should be US 6, not US7. Corrected in V2 of the pattern. V3: Medium Waves – should start: Work Rnds 1-7 of Medium Waves 5 (3) times in total. Missing from the abbreviations list: pfb – purl front and back. Correct in current download version. Rnds 9-14: Rep Rnds 7-8 three more times. I am asking about the medium waves…lapping on the shore. The directions say rounds 1-7 of chart or 21 -27 of instructions. Round 1 of chart is not the same as 21 of instructions. Which is correct? Hi there, I’m sorry to hear that. I think you’re knitting Midnight Ocean? The directions should say rounds 1-7 of chart or 20-26 of instructions. There was a previous quick fix to the row-numbering (rows 20-26 had been previously mis-numbered 21-27) and I had forgotten the rows were referred back to again later in the pattern, sorry. I’ll add this to the errata and update the Ravelry pattern. I appreciate you bringing this to my attention, thank you. Hi Nancy, if you purchased the pattern through Ravelry you should have received an email from Ravelry telling you that the pattern has been updated. There will be a link to download the new version. Alternatively, it will be in your Ravelry pattern library – there will be a button at the left showing that a pattern you have bought has been updated, so you can change the version in your library. Automatic pattern updates only work through Ravelry (electronically). Thank you for your time. I have the email but I don’t see a link to update. I will try the Ravelry Pattern library next. I appreciate your help. I have LOTS to learn! On the Song of the Sea Pattern Medium Waves the instructions are: Work Rnds 1-8 of Medium Waves 5 (3) times in total. In the written instructions and the chart there are only 7 rounds….can you help me with this? Sorry, you’re right, it should start Work Rnds 1-SEVEN of Medium Waves 5 (3) times in total. I’ve added it to the errata list and will update the pattern. Thank you so much for telling me. Hi! I just purchased Song of the Sea from ravelry. It appears to be the original version rather than the updated. I keep seeing posts about alternative edgings and weights to get the most of your yarn but my pdf and Bly talked about the 1×4 traditional rib and no mention of how to weigh & plan. How do I obtain the revised version? Thanks! Hi Janette – the updated version should also be in your Ravelry library. Sounds like you may have downloaded the older version by mistake! Thanks for the response! I found English version had all of the new, alternative information. I’m through the border and into my first set of waves!